NOTE: This is archived committee information from the 78th Legislative Session. expand access to mental health services through expansion of behavioral health organization model. The Committee will coordinate these studies with the Health and Human Services Transition Legislative Oversight Committee review of mental health and mental retardation services. Monitor implementation and make recommendations to improve HB 2292. Include reviews of implementation of the preferred drug list and prior authorization and the new call center for determination of program and service eligibility. The Committee will coordinate activities with the Health and Human Services Transition Legislative Oversight Committee. Study and make recommendations on improving Texas's county and local indigent health care system. Consider whether the system should be regionalized to reflect usage and gain efficiencies, so that one or more counties are not paying for regional health care. Monitor the implementation and make recommendations to enhance the effectiveness of legislation relating to the Board of Medical Examiners, legislation relating to childhood immunizations, legislation relating to the pilot front end Medicaid fraud reduction systems, federal developments related to TANF reauthorization and related programs, expansion and new construction of Federally Qualified Health Centers, federal developments related to prescription drugs in Medicare and the effect on Medicaid. 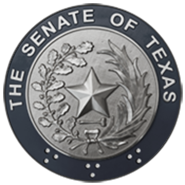 Also, monitor and report on the use of new federal Medicare funds allocated for Texas. Study and make recommendations on increasing electronic transactions in health care. Review the use and make recommendations on improving technology in health care administration, including expediting pre-authorizations and increasing the efficiency of claims processing so that medical providers are paid once procedures are pre-authorized and performed, and administrative costs lowered, benefitting both the consumer and the managed health care organizations. Study health facility regulation in Texas and make recommendations that facilitate innovation and patient safety. Concentrate studies on hospitals, including niche hospitals, Federally Qualified Health Centers and long term care facilities, and make recommendations for improving patient choice, facility competition, indigent health care, and for maintaining a competitive, patient-oriented health care industry. Study and make recommendations on improving the Protective and Regulatory Services service levels payment system and tiered adoption subsidy program. Study and make recommendations on improving the recruitment and retention of foster care families.